Vote for J-14’s Teen Icon Awards! 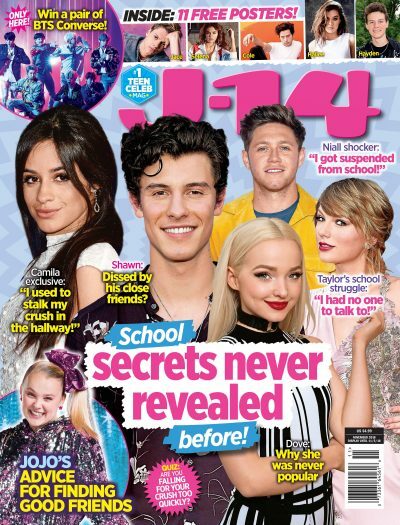 J-14 is rolling out the red carpet with our first-ever Teen Icon Awards where we will honor the hottest teen stars, movies, TV shows, music, and web stars over the past year. For four days over Labor Day weekend, five of the categories were announced exclusively on j14.com each day and thousands of you commented on who should be nominated for each category. The J-14 editors looked over all the suggestions and now we proudly present your 2010 Teen Icon Award nominees! Click the link above or head over to our Polls page to cast your votes. Voting will close at 12 p.m. ET on Tuesday, September 21. To see the entire list of nominees, click here.